The Webb range of products covers the different needs of our customers whether machinery is required for smaller garden types to large luxurious gardens, regardless of the application, we have the solution. Our newly introduced range of Webb electric rotary mowers provide our customers with a range of sizes from 33cm (13″) through to 40cm (16″), they are brimming with great features that make cutting your lawn easier. 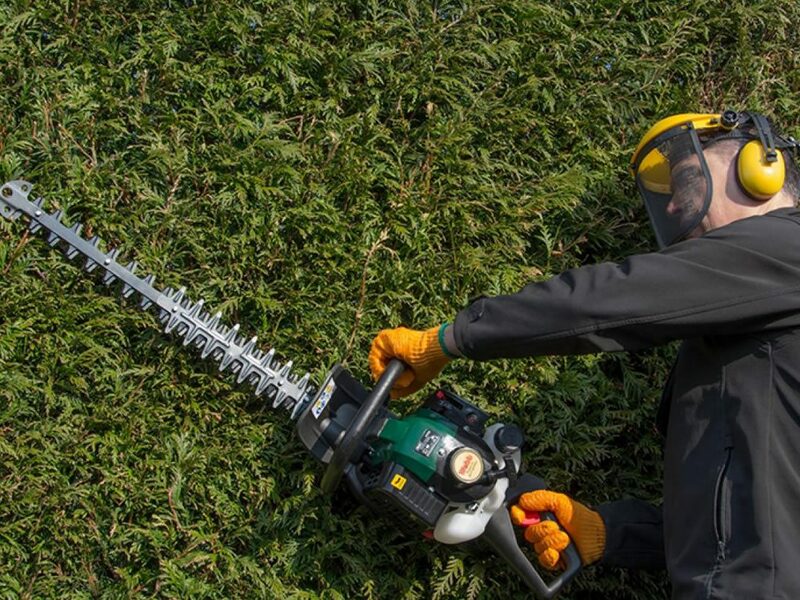 Features include a single lever height adjustment, cutting heights ranging from 20mm up to 70mm, grass combs for improved cutting performance, up to 50 litre grass collection capacity plus a beautifully crafted design that looks stylish. Webb Electric mowers are perfect for small to medium garden types and are lightweight for easy manoeuvrability. 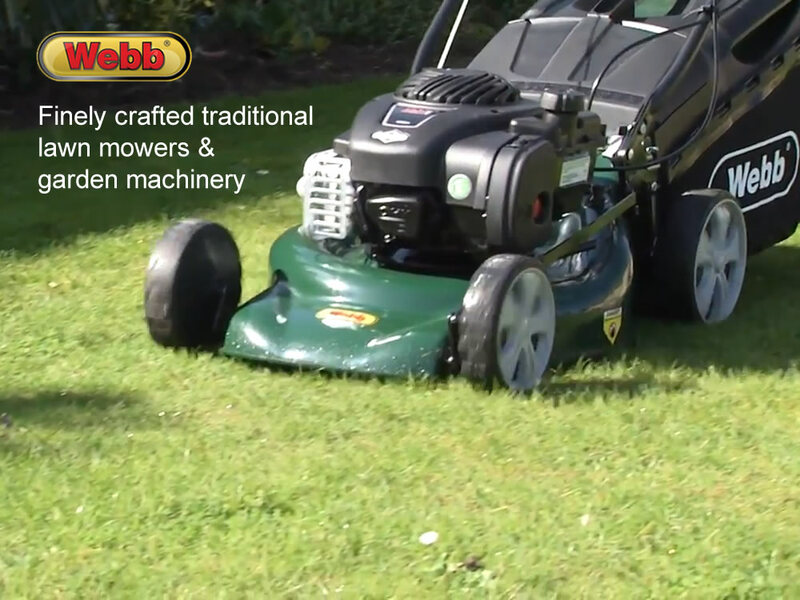 The Webb Classic mower range provides customers with the perfect solution when tackling small to medium gardens where electric is not suitable. They provide an entry into the petrol mower range at affordable prices whilst delivering a great finish and no compromise on quality. Powered by Sanli engines, these mowers come with varying deck widths from 40cm (16”) or 46cm (18”) and are available as a standard push or self-propelled. All Webb Classic mowers provide a single lever height adjustment feature and cut from 25mm to 70mm. With up to 60 litre grass collection, you can cut the grass for longer between emptying. The Webb Supreme range are built with higher performance in mind. Every Supreme mower is supported with a Briggs & Stratton engine and is available through 40cm (16”) to 53cm (21”) cutting widths. With 11 different options including high wheel mowers for undulating ground types to side discharge, self-propelled or push, Webb has the mower for every lawn type. All Webb supreme models host great features to make your life easier. The perfect solution for medium to large lawn types where time is of the essence and quality of cut is paramount. These mowers are designed to support gardeners with small to large lawn types where the traditional stripped lawn effect is required. Due to the split rear roller, these mowers are ideal for gardens with boarders as a cut over the edge can be achieved without damage to your lawn. With a low cutting height ranging from 23mm to 77mm it is possible to achieve a quintessential British Garden look. Webb Roller mowers vary in cutting widths from 40cm (16”) to 48cm (19”) and can support every garden size with this desired result. The Briggs & Stratton engine supports increased power and performance, ensuring a long life for your mower. 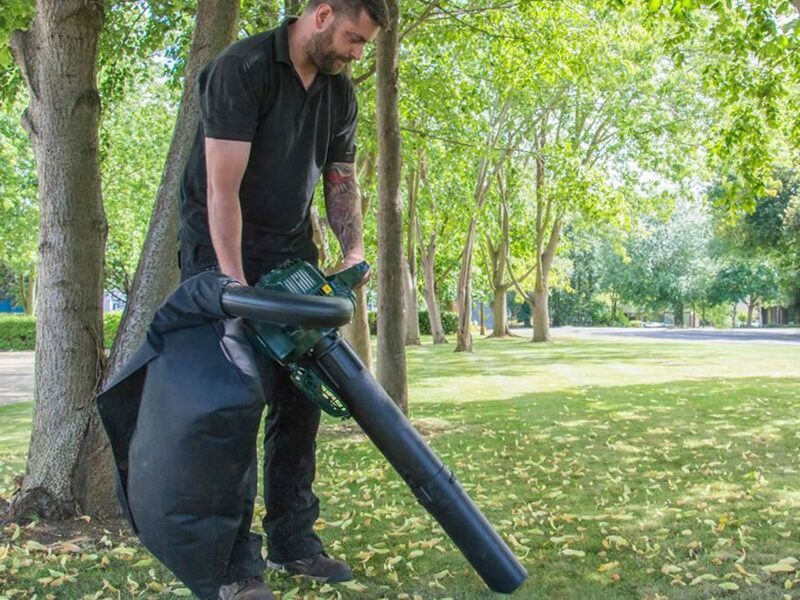 Webb provide a portable petrol solution for those medium to large garden types whether it be cutting hedges, trimming long grass or heavy brush, lopping trees or vacuuming the leaves from your lawn. 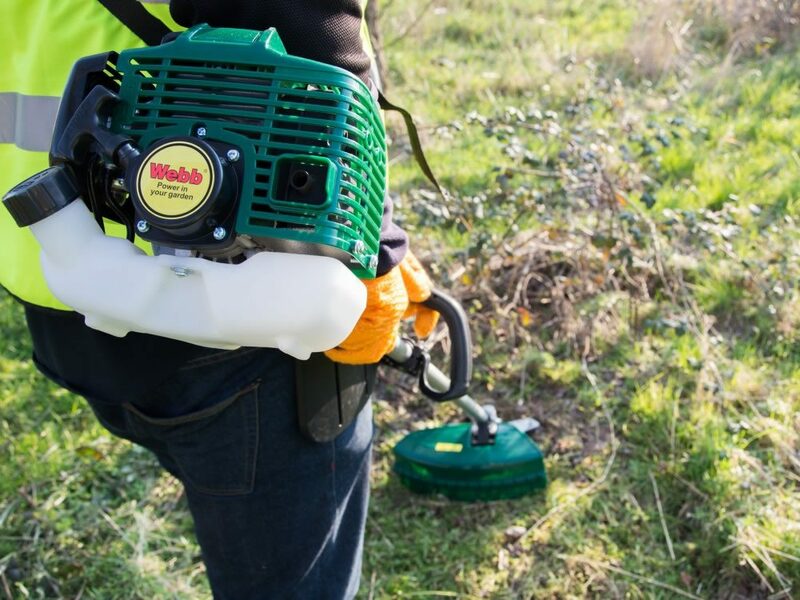 Supported with 2 stroke petrol power from 26cc to 43cc and no compromise on quality, Webb Handheld machinery delivers the solution to these more demanding gardening chores. No need to be tied down by a cord or limited to a battery life, Webb petrol gives you that complete freedom around the Garden. Call into our showroom at Dartington and view the range. We are here to help and advise on what best suits your situation.